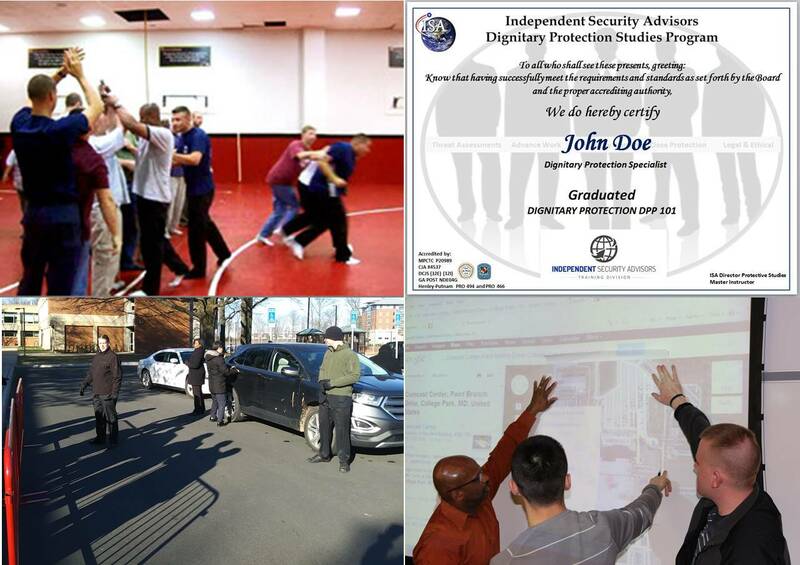 Private Security Consortium Hosting the ISA Dignitary & Executive Protection Course May 2019 in Atlanta Georgia. Announcement: Georgia private security consortium hosting the ISA Dignitary Protection Course May 4th -10th, 2019 in Atlanta Georgia. It’s not often you will see a group of independent security companies come together to host and sponsor a training program. But that is just what is happening in Atlanta Georgia in May. Each company wants to improve its own services and may be looking for trained agents, so it makes sense to host and sponsor an accredited program. What better an opportunity to see prospective employees or contractors than see them in training and during live exercises under pressure and in real-world conditions and realistic scenarios. 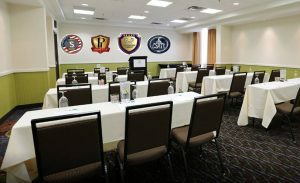 Classroom: Wired and designed with the latest technology in mind, the conference center classroom is only minutes from the live exercise area of Atlanta where students will put their training to use. Live exercises will be conducted in the Metro Atlanta area from the same venues agents may find themselves with their clients. 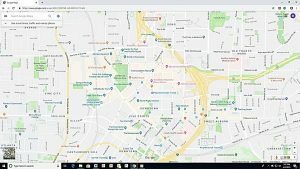 Additional locations include entertainment venues, business, and government centers. Registration forms and scholarship applications must be submitted by April 15th to ensure they are processed in time for board review. Registration Fee: The hosts and sponsors of this course have instituted a $250.00 non-refundable registration fee to ensure attendance, which must be paid by April 15th to keep your seat. Payments may be made via PayPal or Zelle at jtbrown3108@gmail.com. Note: Payments that have been made at the time of registration via Zelle to ISA will also reserve your seat. Note: Employment Opportunity: This course meets the training requirements by the prime private security vendor of the RNC in Charlotte North Carolina for employment as an EP agent. Contact Derecho Investigations of Charlotte, NC at info@derechoinvestigations.com for additional information on the RNC. This course is fully accredited for private security and investigators in North Carolina & South Carolina. This course is endorsed by the International Foundation of Protection Officers and approved for CEUs by ASIS. This course is approved for continuing education credit with multiple colleges or universities. This course meets the regulatory requirements for educational credit by the Internal Revenue Service and is tax deductible as of this announcement. A portion of the proceeds for this program will be going to the Shriners Children’s Hospital. In addition, you can earn a $25.00 referral fee with a matching $25.00 donation in your name added to the charity fund for seats filled directly from your referral.